Studies have linked high sugar consumption to depression risk in adults. Does sugar lead to depression? Or does depression influence sugar intake? “Sugar intake from sweet food and beverages, common mental disorder and depression: prospective findings from the Whitehall II study” sought to determine if sugar consumption leads to common mental disorder (CMD) and depression or if the reverse is true, that individuals suffering from CMD and depression are more likely to eat sugary foods. Through analysis of repeated measures for 23,245 person-observations from the Whitehall II study, mood was assessed using validated questionnaires and diet through food frequency questionnaires. Researchers found that neither depression nor CMD predicted the intake changes found during their analysis where positive associations between sugar consumption and CMD and depression were found. 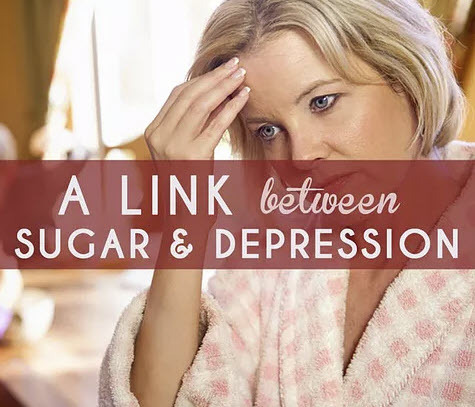 This led the researchers to conclude that dietary sugar intake has an adverse effect on long-term psychological health, including both CMD and depression. If you’re ready to quit sugar and give your mental health a boost, my 21 day detox is an excellent way to get started in your journey to health! !